It’s rare to come across exceptional videos that talk about new quarters or those that succinctly describe the America the Beautiful Quarters® Program. A video released last week by the Great Smoky Mountains Association scores big for both topics. Our hats are off to the GSMA and GSMA’s Cinematographer Gary Wilson who produced the video. 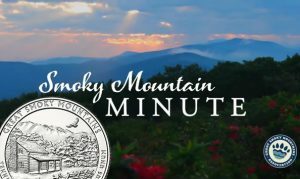 In 3 minutes and 51 seconds, Gary takes the viewer through a quick tour of the America the Beautiful Quarters series and then smartly showcases the Great Smoky Mountains National Park Quarter for Tennessee – its four candidate designs, the artist tweaking the final selected design, producing it, and small portions of the coin’s official release ceremony in Gatlinburg, Tennessee. Courtesy of the Great Smoky Mountains Association, the short video is embedded below. The video is also available on YouTube, located here. Post by Great Smoky Mountains Association. Great Smoky Mountains National Park Quarters are the first this year and the 21st overall in the series of America the Beautiful Quarters that was introduced by the United States Mint in 2010 and will continue until at least 2021. The coin was sent into circulation beginning on Jan. 27, 2014 with an official release ceremony on Jan. 29, 2014. Later this month, the United States Mint will introduce two versions of the quarter that are struck in five ounces of 99.9% pure silver to a diameter of three inches. When issued, the collector 2014-P Great Smoky Mountains National Park Five Ounce Silver Uncirculated Coin will be available through the U.S. Mint website at www.usmint.gov/catalog and the companion investment-grade 2014 Great Smoky Mountains National Park Five Ounce Silver Bullion Coin will be available from coin and precious metals dealers. Upcoming 2014 America the Beautiful Quarters include designs that commemorate Shenandoah National Park of Virginia, Arches National Park of Utah, Great Sand Dunes National Park of Colorado and Everglades National Park of Florida.